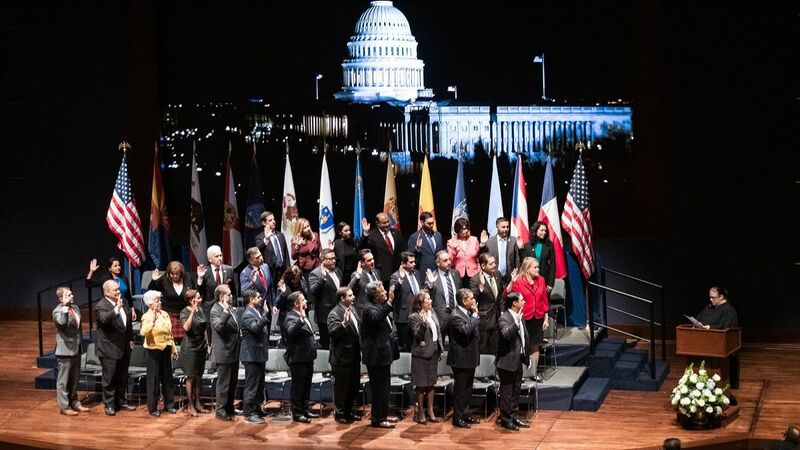 CHCI celebrated the Hispanic members of the 116th Congress with the Swearing-In Ceremony and Welcome Reception on January 9, 2019 at the Capitol Visitor Center. The historic and inspirational event convened over 500 guests to celebrate the largest class of Hispanic members in the most diverse Congress in the history of the United States! 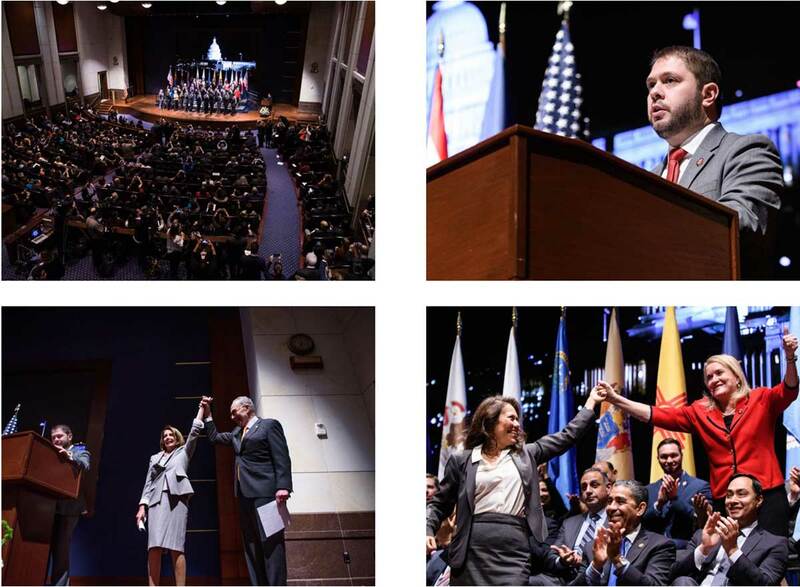 The ceremony featured speeches by CHC Chair Rep. Joaquin Castro, CHCI Chair Rep. Ruben Gallego, and CHCI President & CEO Domenika Lynch, along with remarks by special guests House Speaker Rep. Nancy Pelosi and Senator Minority Leader Chuck Schumer. “We are getting more and more to look like the America we love and the record number of people here on this platform is testament to that and it makes me proud to be an American,” concurred Senator Schumer. We are grateful to our hosts Bank of America, Novo Nordisk and Target, and our supporting sponsors whose financial investments transform the lives of thousands of talented American leaders! Northeastern Voices Read the full article here.